Back in September, Whitehaven 5'8 senior guard/forward Jasmine Rhodes traveled to the Atlanta, GA area to participate in the Scouts Focus Elite 80 Showcase. After transitioning from the post to a perimeter player, Jasmine developed into a defensive force. Her body frame, motor and agility skills creates all kinds of difficulty for players to score. But in the Showcase video below wearing the #89 jersey, Jasmine reminds us to not forget her offensive skills. She finishes with the left and right hand. She gets the ball to open teammates.. She block shots and hits the short jumper. Can we get something like this going in Memphis??? In the Summer Basketball Season is Over, Now What post, I wrote about preparing yourself for Academic Eligibility to play college basketball. We are a couple of months into the school year. A couple of report card periods and ACT test dates have passed. This makes the perfect time to do an academic checkup to make sure you are on the right path for academic eligibility. This is also a great opportunity for me to share additional beneficial information to you. Ridgeway’s Elizabeth Dixon may be only a freshman. But she has a firm grounding in basketball history. “I look up to (WNBA stars) Candace Parker, Brittney Griner,” she said. “Alonzo Mourning, even though he isn’t playing any more. (Hakeem) Olajuwon, Dikembe Mutombo, Michael Jordan. Among college recruiters, she already has. Despite the fact that she’s yet to play a high school varsity game, Dixon is already attracting some serious college attention, with Southern Miss, Mississippi State and Baylor among the interested schools. And if Dixon’s personal hall of fame skews heavily toward post players, there’s a good reason. She’s already 6-4. Dixon comes by her size naturally; her father and mother — natives of Nigeria — stand 6-6 and 6-0 respectively. And while she’s just starting to scratch the surface of her potential, she’s far from a gangly project. “She’s got a great work ethic,” said Mason, who has worked with NBA players Elliot Williams, Jarvis Varnado and Terrico White, among others. Said Dixon, “The attention makes me feel really good. 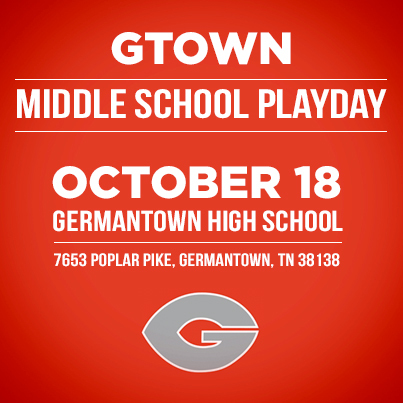 I’ve only been playing since I was in the seventh grade (at Ridgeway Middle) and I didn’t even really play a lot until I got to eighth grade. 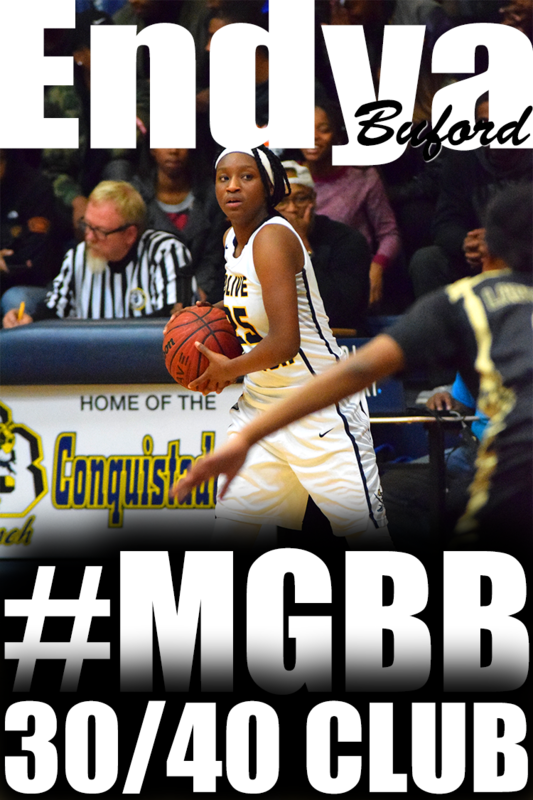 Ball-handling isn’t a problem for another one of Mason’s promising young clients, Olive Branch point guard Myah Taylor. 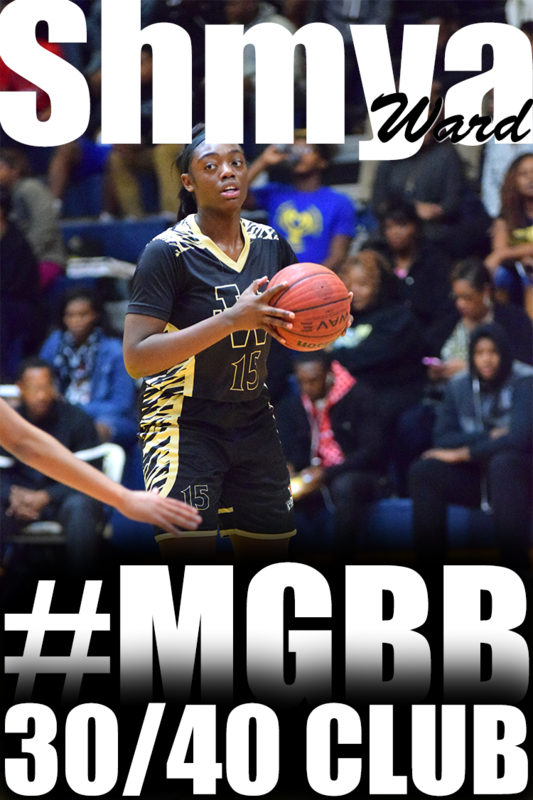 The 5-7 sophomore, who led the Quistors to a state runner-up finish last year, already has offers from Memphis, Baylor, Mississippi State, Southern Miss and Jackson State. Several other schools have shown interest. “She’s a true point guard,” said Mason. “I’ll put her in drills with NBA players and sometimes — depending on the drill — she’ll even win. Taylor, who averaged 14 points and 6.4 assists last season, gives Mason the credit. “I’m blessed to work with him,” she said. “He got me to where I am today. I couldn’t even really play before I started working with him. I’ve gotten stronger and I can attack the hole. Great job to the following young ladies! Click on the player's name to view their league profile website. This is a great blog post for every freshman women’s college basketball player. I got chills from reading this because I know exactly what this young lady is talking about. This is the information I wish someone would have shared with me before I started my college career. 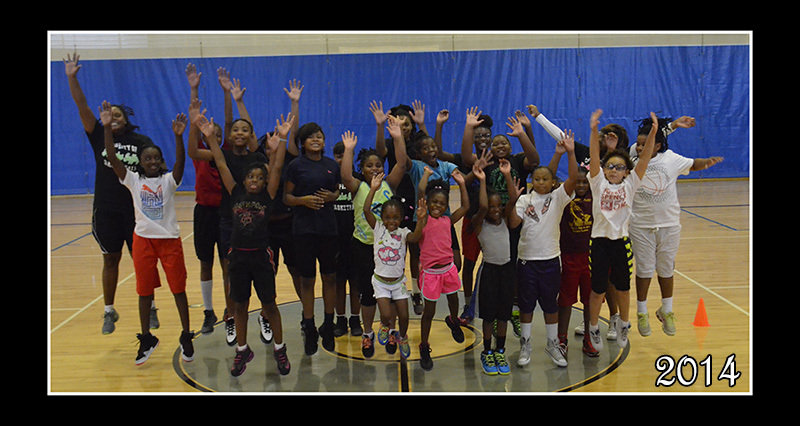 The Granny's Girls Basketball Camp is the final event of the month long Memphis Girls Basketball Fall Fest. I would like to thank the players and parents for participating in this event. We were able to provide 266 bottles of Ensure to the American Cancer Society's Harrah's Hope Lodge. I'm so excited that basketball season is here! I can't wait to see all the talent in the Memphis area. 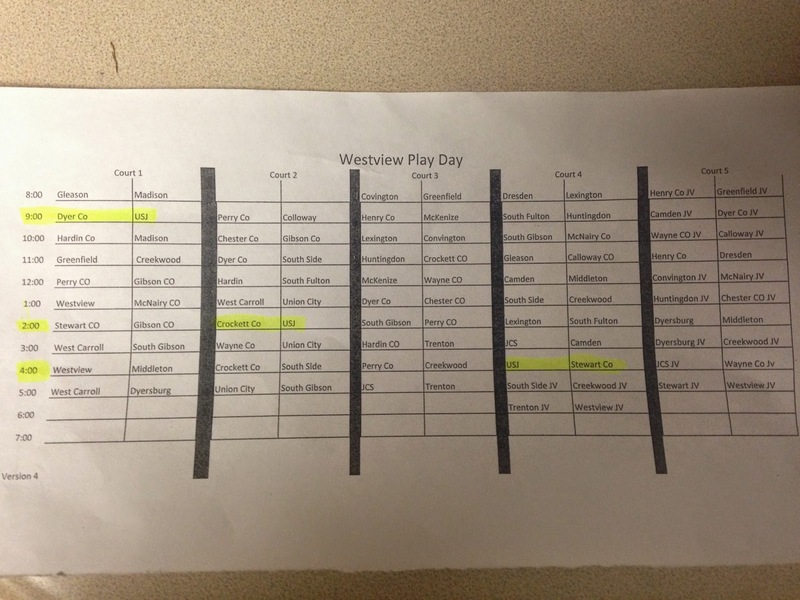 Unfortunately, I wasn't able to attend all the girls games at the Play Day. However, here is a sneak peek of what I'm planning to bring to the site this year.. The Pre-Season Show Off Camp is event number 2 of the Memphis Girls Basketball Fall Fest and it caps off the Fall Exposure League. It's also an opportunity for players that didn't get the opportunity to participate in the League an opportunity to play and get evaluated by myself and attending college coaches. I want to send a big thanks to Jackson State University, Rust College and Motlow College for coming out. I did not realize how quick and strong 6'0 Katia Polk (Whitehaven, 2015) is. She has a quick first step to get by defenders. As far as strength, I witnessed Katia unintentionally flip another 5'11 post to the floor. 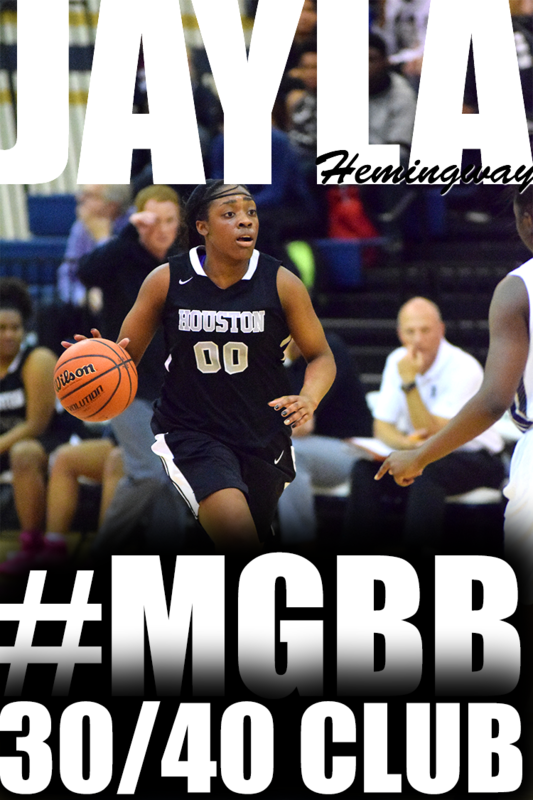 She is a very mature and powerful player with abilities to play with her back to the basket and get rebounds. Most importantly, she is academically qualified with a 23 ACT score. You couldn't miss the presence of 6'2 Eryn Foster (Ridgeway, 2015) in the gym. She is tall with a good size body frame. A strong post player who wants the ball in the paint. She can play with her back to the basket and has a nice drop step. Not too many players want to come in the paint to challenge her because of her presence and her ability to block shots. She also has a nice free throw touch. 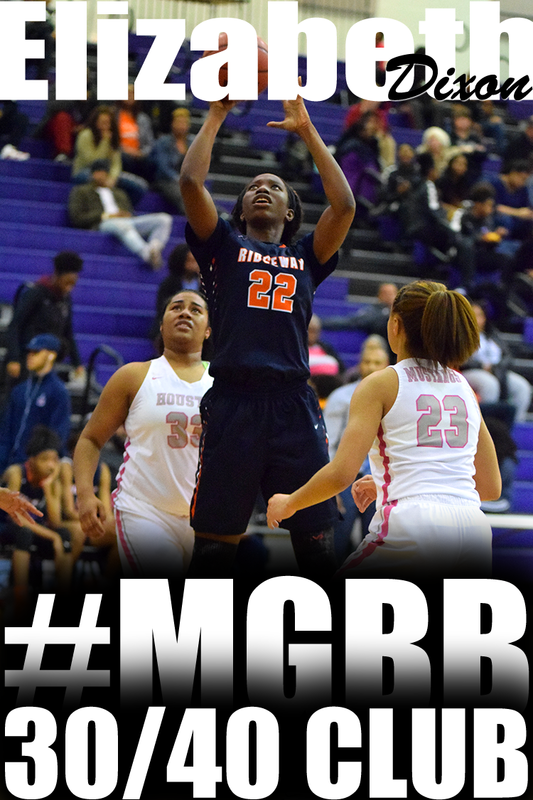 A player we will be hearing about for the next four years is 6'3 post Elizabeth Dixon (Ridgeway, 2018). She has a slender body frame with a long reach. She is quick off the floor anticipating rebounds and has a nice array of counter moves on the offensive end. You are hearing it from me first. Watch out for Cordova this year. 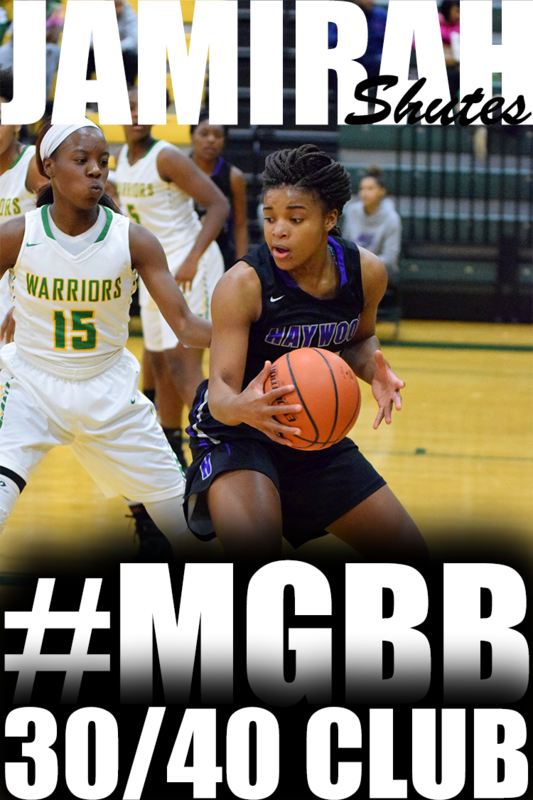 Point guard Taylor Lattimore (2018) will be one of the reasons for Cordova's rise. She makes things happen for her team. She is great at anticipation and getting steals. She is quick and glides in the air after attacking the basket for layups. She is extremely smart and gifted at distributing the ball. A standard of excellence will continue to be upheld by the Tennessee Flight moving into next year. Program director Tom Insell has multiple teams that are loaded from the starting five to the end of the bench with potential college prospects. Last year’s team featured three ELITE 150 prospects in No. 25 Kaylan Pugh of Collierville, Tenn., No. 34 MeMe Jackson of Murfreesboro, Tenn., and No. 114 Alex Johnson of Murfreesboro, Tenn. In all the Flight will have close to a dozen class of 2015 players who will sign a Division I scholarship this November. The End of the Road Championships showcased what the Flight has to offer for years to come. 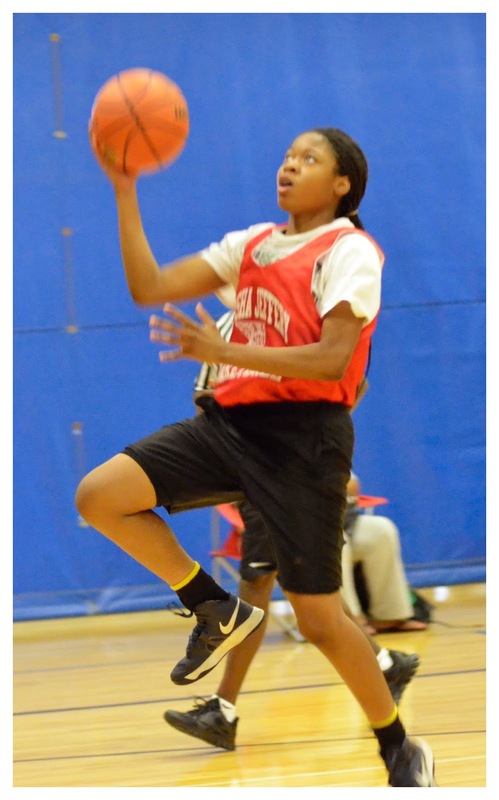 In the class of 2016, post player Jaiden McCoy of Knoxville, Tenn., is establishing herself as one of the more productive posts in the region. At 6 feet 3 inches, she was effective at finishing plays on the off-side of the glass and providing length in the lane. A new edition for the Flight this fall was Breanna Glover of Glasgow, Ky., who showed terrific athleticism on both ends of the court. She wowed the crowd by swatting several shots out of the air. 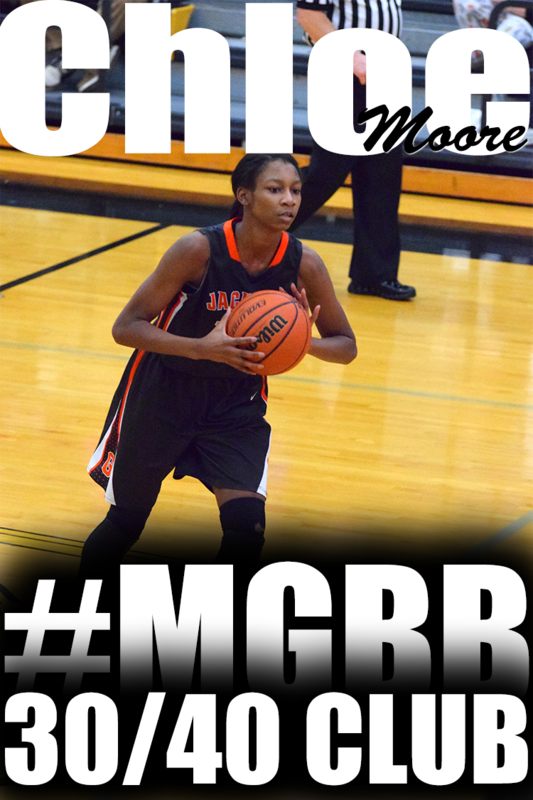 She will make a push as one of the top high school players in her state this year. The class of 2017 is full of promise for Insell and his staff. Point guard Anastasia Hayes of Murfreesboro, Tenn., is currently rated No. 17 in the ELITE 25. The 5-7 dynamo is crafty and explosive with the ball in her hands, which usually leads to scoring opportunities for her and her teammates. Along the frontline is Keondra McKinney of Knoxville, Tenn., who demonstrated an expanded skill set at the End of the Road Championships. Currently ranked No. 14 in her class, she showed polish with her footwork in the pivot. 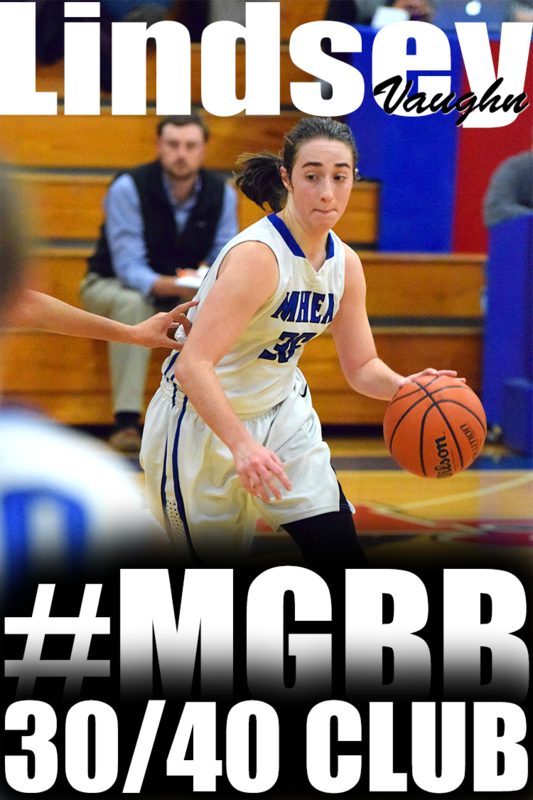 However, it is her length and athleticism that set her apart as one of the top combo forwards in the nation. Insell has already set the deck for years to come with talented class of 2018 players as well. Another point guard, Jordyn Cambridge of Nashville, Tenn., is already on the ELITE 25 Watch List. She teams up with wing-forward Brinae Alexander of Murfreesboro, Tenn., to make up a 1-2 punch that already has coaches along the back line talking. Add in a middle school prospect of Jayla Hemingway of Collierville, Tenn., who is just in the class of 2019, and the Flight will attract a large following of coaches for years to come. 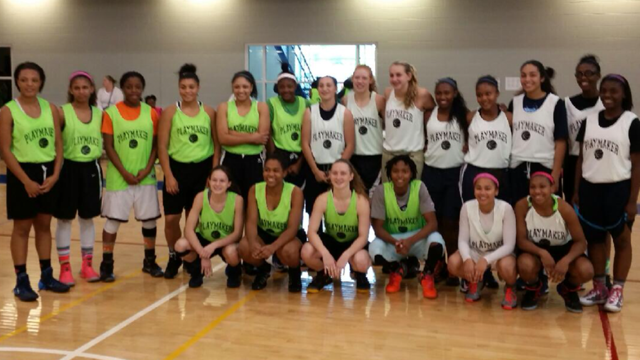 ♦ Team Memphis Elite put together plenty of talent at the End of the Road Championships. Forward Tae’Lour Richardson of Nesbitt, Miss., in the class of 2016 is an athletic force on both ends of the floor. Meanwhile, class of 2016 wing Tori Sewell of Millington, Tenn., complements the team with her ability to shoot from long range. ♦ We have had multiple looks at the Memphis Dream team coached by Wilbert Cooper and Andre Pruitt. This collection of class of 2017 prospects is headlined by point guard Tamia Jones and post Antionette Lewis who are both from Memphis, Tenn. ♦ Team Tennessee Glory brought energy and effort to the floor all weekend long. Class of 2016 point guard Tatiana Love of Bartlett, Tenn., and wing Morgan Morris of Memphis, Tenn., both had leadership roles in that effort. Shelby County Schools Supt. Dorsey Hopson spoke from the heart Wednesday at Carver High, the first school in the county where 100 percent of the senior class has signed up for the Tennessee Promise scholarship. “You can do anything you put your mind to. You can be anything; you can be anybody,” Hopson told the class’s 80 members in a celebration rally in the gym, reminding them that only a year ago, Carver had been scheduled to close. “Y’all had a community that said, ‘No, we are willing to step up,’” Hopson told them. As of Wednesday, 4,400 seniors in Shelby County had signed up for Tennessee Promise, the scholarship funded by a state lottery endowment that is available for the first time to the class of 2015. It will kick in after Pell Grants, state lottery scholarships and financial aid are exhausted, allowing students to attend two years at a community college or two-year technical school in the state without charge. As a young man, Hopson could have benefited from the scholarship when he was a full-time student at Shelby State Community College, a story most people don’t know. When it took him longer to finish his bachelor’s degree at the University of Memphis than he planned, he got back on track by studying nights and summers at Shelby State. “Even back then, those teachers were so focused on making sure we used that educational opportunity to better ourselves,” Hopson said. When you are from a poor part of town, “people give up on you real quick,” said Hopson, a graduate of Whitehaven High. For students like Jamika Gross, 18, the scholarship has changed not only what the future looks like but how she feels about today, she said. “I think folks were losing hope that they could go to college,” she said. “I want to be a nurse. I have made a decision that I am going to have a good attitude and listen in class. Other students said they had noticed similar changes in their classmates, including that students are trying harder than they had even last year because they see they have a real chance of going to college. This is the third year a last-dollar scholarship has been available in Shelby County. In previous years, it was funded by private donors through tnAchieves. The county’s sign-up rate this year is nearly identical to last year’s. “Instead of rare, it has become very much normal to have 100 percent participation,” said Krissy DeAlejandro, executive director of tnAchieves. Her organization handles registration and finding a mentor for each student. “We had 502 mentors this morning in Shelby County. It’s great when you have 500 people willing to work with students and give them their time, but we do need 880 mentors. During the Memphis Girls Basketball Fall Fest events, I was reminded that there is a lot of young talented players in Memphis. It’s not uncommon for Memphis to have talented players entering high school. It’s also not uncommon for the same talented players to graduate from high school with the same skills they had when they entered ninth grade..—NO GROWTH IN THEIR GAME.. Your talent can only get you so far. 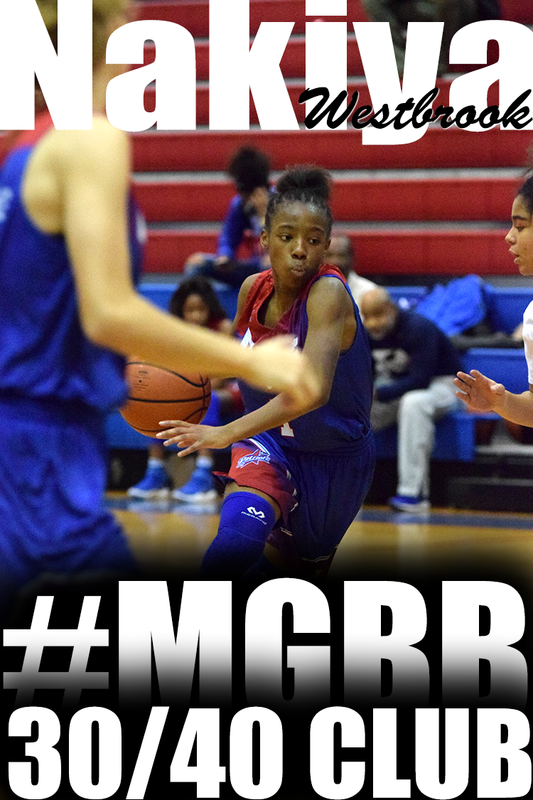 It can get you notoriety in the city, on MemphisGirlsBasketball.com and even nationally. Sometimes it can get you college basketball scholarship offers. SOMETIMES! Prentice Beverly of Balln Prep Girls was in the building evaluating talent at the Playmaker Elite Camp in Clarksville, TN earlier this month. 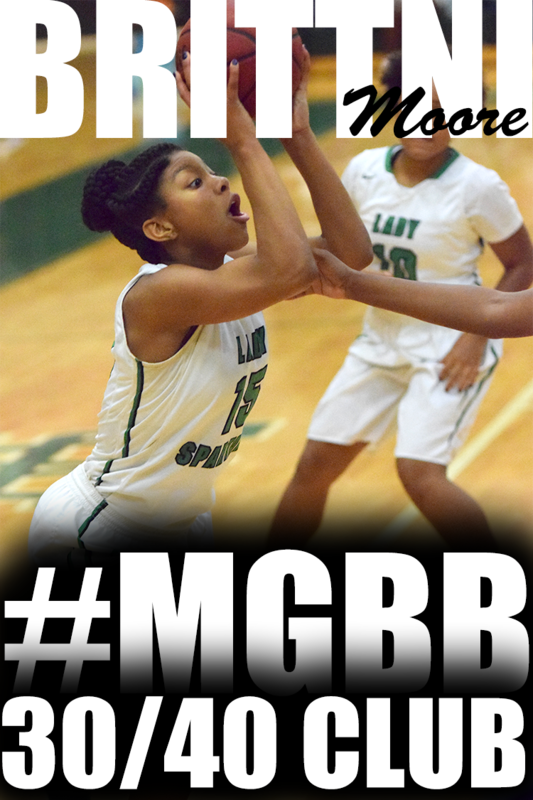 Check out what he had to say about Munford's Johnna Jones and Collierville's Jada Taylor. Looking for a tough hard nose point guard 2017 Johnna Jones from Munford HS in Drummonds, Tenn drew my attention. Jones played a stellar all-around game. The 5-7 Jones likes to attack off the dribble, with either hand, looking to create contact and finish in traffic. She also showed the willingness to manufacturer her shot by attacking off the bounce as well as consistently draining the spot up jumper and three pointers. Jones did a great job of pushing the ball up the floor on made and missed baskets. She played aggressive at both end of the court and has a knack for being around the ball. Jones rebounds well for her position. She has all the tools to be solid DI point guard. Player to keep your eyes on is 2018 5-9 Jada Taylor who hails from Collierville HS in Collierville, Tenn. Taylor has good handles, is quick off the dribble and has a true legitimate (that means it’s nice) mid-range jump shot. Handles pressure situations well, doesn’t get rattled speedy combo guard from played extremely well. Taylor had her entire repertoire on display. She used her killer crossover, coupled with her explosive first step, to attack the paint looking to score or dish to slashing teammates. Taylor used her speed and quickness to get out and finish off the break weaving in and out of traffic handling the rock equally with both hands. Taylor also showed that she can consistently stroke the mid-range jumper as well as be a threat from beyond the arc, forcing opponents to choose their poison. 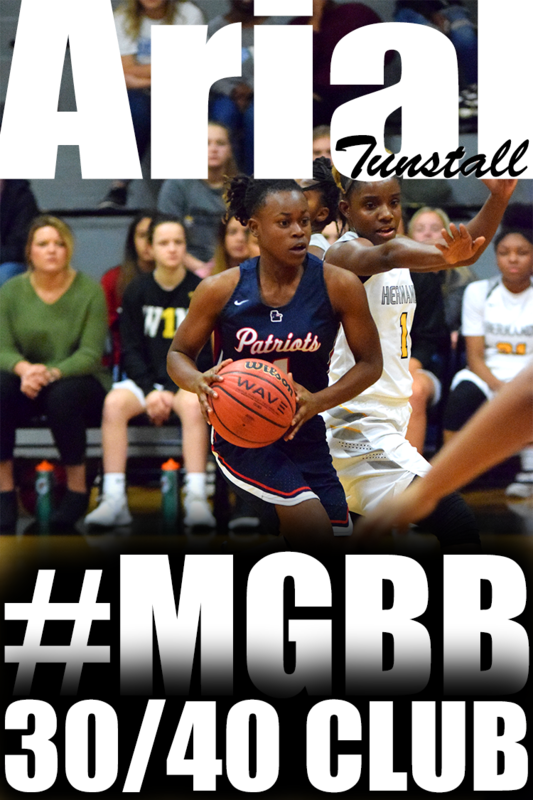 Taylor can translate her speed and athleticism to pay great dividends on the defensive end forcing turnovers and cashing in on the other end. Memphis Home Education basketball standout Bailey Wilkes has committed to play at Union. Her teammate Torri Lewis announced her intention to play for Ole Miss over the summer. 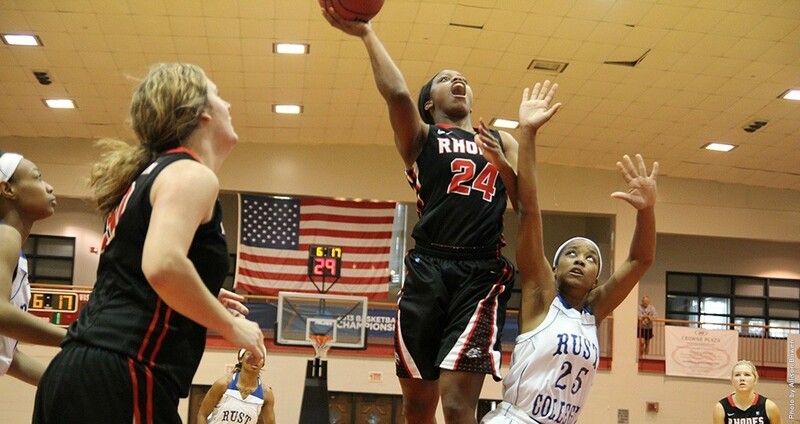 Eagles coach Tracy Rice said the Jackson, Tennessee school — a former NAIA powerhouse which is ranked 23rd in the Division 2 preseason poll — is a perfect fit for her star. Wilkes, along with Lewis, is on the short list for the 2015 Pete Maravich award, which is given annually to the nation’s top home school player. She’ll join a growing Memphis contingent at Union; former FACS standout Natalie Smith is a sophomore this year while Lausanne and Rhodes College grad Lauren Avant is beginning her first year as an assistant. The University of North Alabama has dipped into the Memphis area to land verbal commitments from three prep standouts. Briarcrest basketball players Brynn and Elise Holden — a pair of all-metro performers in 2013-14 — said they’ll sign with the Lions after also considering CBU. With two-time Miss Basketball Jasmine Cincore now at Nebraska, the Holdens will be the veteran leaders for a Briarcrest team which has gone 56-3 over the past two seasons. The Holdens will be joined on campus next fall by Collierville left-handed pitcher Alex Johnson, who chose the Lions over Morehead State, Ouachita Baptist, Arkansas Tech and Southwest Tennessee. “Kevin Hall, who played at Collierville a couple of years ago, opened my eyes to a lot of things about the program,” he said. Johnson, a 5-7, 170-pounder, appeared in 14 games for the Dragons in the spring, starting two. He went 3-1 with a 1.58 ERA and 22 strikeouts in 17.2 innings. I often talk about my failures as a college basketball player. However, I did have periods of success. During the Christmas break of my sophomore season, I started coming to practice a few minutes early to get extra shots in. Because of the extra time I was putting in, my confidence grew, my production increased and I earned a starting spot. Since I don’t offer training sessions during basketball season, I wanted to find a way to contribute to players growth during this time. I came up with the P-15 Workout. The P stands for Pre/Post Practice and the 15 represents 15 minutes. P-15 is an opportunity to get an extra 15 minutes of individual practice in before or after team practice. I will provide a P-15 workout every week. You decide if you want to do the workout everyday or come up with your own schedule. You will be amazed at the growth of your game from doing something as simple as these P-15 workouts. Just like I was when I was in college. 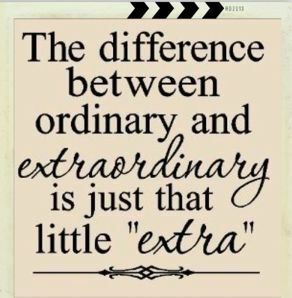 Your coach will notice a difference also. I want to thank all the players that participated in this year's league. I also want to thank Christian Brothers University Head Women's Basketball Coach Sarah Condra for coming out during the Final Week. As the weeks go by, players build up their conditioning and confidence. They also build up their soft skills like communication, teamwork and leadership. When players have more wind, energy and confidence, they tend to increase their production and have break out games. UConn's 5'11 Jerhonise Rollins surprised me at the beginning of the league with the amount of growth she has had since last year. She is aggressive and much more active. She is also becoming a scorer. During the Final Week, Jerhonise showed that you may not be able to leave her open. During the game, instead of losing the battle of banging in the post with Memphis' Morgan Walton, Jerhonise decided to take her game beyond the three point line. She knocked down 3 three pointers and finished with 13 point 6 rebounds and 3 steals. Speaking of Memphis, Jada Taylor's 2 three pointers was the turning point that helped Memphis to victory against the then undefeated UConn squad. She finished with 8 points 4 rebounds and 2 steals. Maryland's Torri Lewis effortlessly broke out to lead the league in scoring this week with 17 points. 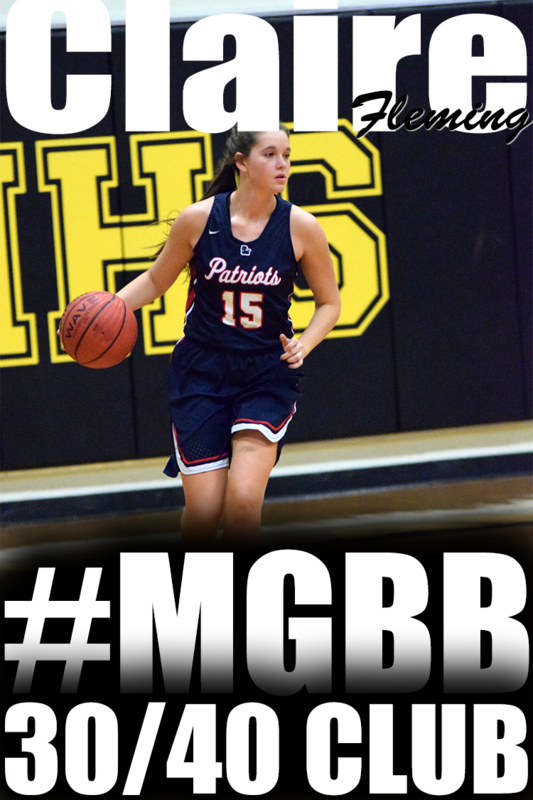 She showed why she is heading to Ole Miss next fall and is one of the top scorers in the city as she knocked down 3 pointers and short floaters. Tennessee's Kerrigan Braxton can shoot deep. I mean really, really deep beyond the 3 point line. This week she was dropping it off hitting 3 three pointers to finish with 13 points and 2 steals. Notre Dame's Taylor Robertson returned to the league this week after taking the ACT last week and put up 14 points. Tennessee's athletic Lauren Taylor also returned to the league after a volleyball tournament last week scoring 14 points and grabbing 6 rebounds. This week saw two more players join Tennessee's Brittni Moore in the Double-Double club. Stanford's Tamia Jones had 12 points, 10 rebounds and 1 block. Morgan Walton played an extra game with Stanford and finished with 12 points 12 rebounds and 1 block. Catie Shoemaker was a few points shy of getting a double-double, however, she did pull down 10 boards. Memphis's Savanna Owens is a player I will be keeping my eye on this basketball season. 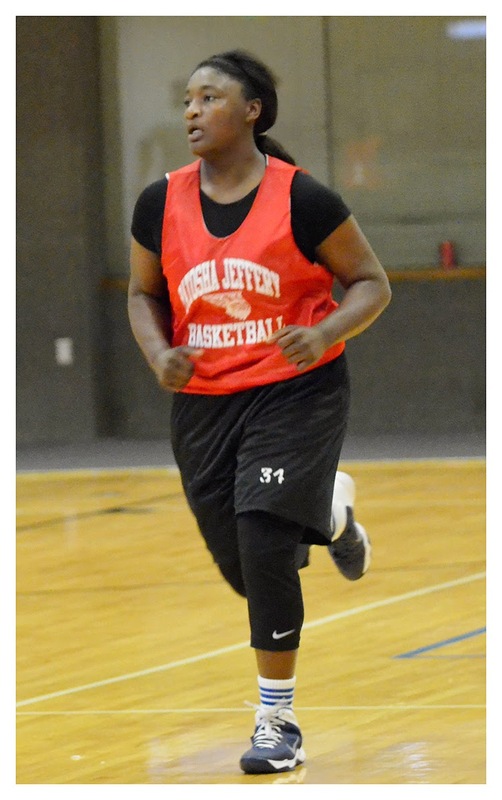 At 5'9, she is a nice size shooting guard and does a lot of things to contribute to her team. She scores. She rebounds. She is a nice size defender. She gets steals and she blocks shots. She runs the floor well. She handles the ball. She is a nightmare for people to defend because she's always moving. I love Tennesee's Bionka Massie's swag. She is another all around player that contributes in many ways to her team. She is confident. She is aggressive. She can distribute. She can score beyond the arc and by getting to the basket. She also gets to the line with her unique free throw shooting ritual of turning towards the three point line and touching it with a foot before shooting. Notre Dame's Julia Nicholson has game. At 5'10 you would expect her to stay in the post, however, Julia doesn't. She can pull post players outside the paint and force them to defend because she is knocking down jump shots. I have a feeling she will be known for double-doubles before her high school career is over. She was just shy of averaging double figure points and rebounds in the league. I love watching players grow. Notre Dame's Jayla Hemingway got on my radar at the 2012 Pre-Season Show Off Camp as an aggressive 6 grader that out played almost every player on the court. Now as an 8th grader, she is more under control and becoming a scoring team leader. She gets to the rack at will with creative counter moves. She's developing an eye for getting her teammates the ball. She does not back down from any opportunity to get buckets for her team or to deny her opponents from getting buckets. Starting something new is exciting, scary and similar to entering an unfamiliar dark room. You don’t know what is in front of you. You don’t know which way to turn. When I started my career in college basketball, that’s how I felt. I was in unfamiliar territory. People were speaking languages that I didn’t have a clue about. My coaches were yelling 1,2,3,4,5, elbow, short corner, and maxing out. I was being tossed new terms and acronyms left and right. If someone would have told me the things I’m about to share with you, I would have had an extremely successful college basketball career. Instead, I was a below average to average college player. I eventually became frustrated, couldn’t dig myself out of my frustrations and stop playing basketball my junior year of college. At the beginning of something new, everyone has the opportunity to be successful. But only the ones that do specific things will end up successful. Below are some of those specific things you can do to have a successful basketball career. Congratulations to the Memphis area players that made the Playmaker 94/50 Camp All Star Select Team in Clarksville, TN this past weekend. 2015 Seniors --- Tennessee JUCOs are taking advantage of the TN Promise program to offer better athletic scholarship packages. Give yourself options by signing up for this program.. Refer to the Tennessee Promise Checklist for complete instructions for getting to college for free in August 2015.